Want a perfect encapsulation of what the 2018 Mets are? Look no further than what happened in yesterday’s game. Nathan Eovaldi was working on a perfect game entering the seventh inning. Brandon Nimmo stepped up to the plate, and he broke it up with a single. This was followed by Wilmer Flores striking out on three pitches, and Asdrubal Cabrera grounding into an inning ending double play. At that point, the Mets were already down 7-0 because Chris Flexen pitched poorly, and his pitching was exacerbated by the defense behind him, which was just as poor if not worse. After three innings, he was relieved by Chris Beck, who was once again terrible. The final score was 9-0 with Paul Sewald, who replaced Jerry Blevins, who had been placed on the bereavement list, didn’t quite have it again. Overall, this is just a bad baseball team, and they’re not even losing with a purpose as the team is starting Jose Reyes over Amed Rosario, and Dominic Smith plays once in a blue moon. To make matters worse, he is playing well out of position in left field. Simply put, this is bad and unwatchable baseball. Game Notes: Nimmo was not named an All Star despite leading all NL outfielders with a 148 wRC+. This leaves Jacob deGrom as the lone Mets representative. Mets Blogger Roundtable: Is Callaway In Over His Head? Initially, we planned to run a roundtable on our thoughts about the job Mickey Callaway is doing, but with Sandy Alderson announcing his cancer has returned and due to personal issues, it turns out that roundtable needed to be delayed. Well, Gary Apple called him ‘Mickey Collins’ the other day. That should say enough. Someone on Twitter correctly noted that if Aaron Boone was the manager of the Mets and Mickey helmed the Yankees, those teams’ current records would be exactly the same. *That *should say enough, except the sentences that “say enough” kind of talk over one another, don’t they? So I’ll say that I don’t think we should say “enough” to Mick, while acknowledging he is over-matched, since this fact is obvious yet forgivable. It’s his first time doing this, and none of his coaching staff can say they’ve managed a major league club before without lying. He’s also dealing with a much more crowded kitchen, full of men who think they are cooks because they bought chef costumes, than he could have possibly imagined. He might be overmatched for the city, not the job. When he said “New York is tough on players,” I think he may have been admitting he wasn’t prepared for the onslaught of media and fan pressure. Willie Randolph played here, and he couldn’t handle it either. I think he’s been forced to follow a script, which is why I think so many of his moves have backfired — much like Terry Collins — but I also thinkhe’s made a few of his own dopey decisions. He reminds me of former New York Giants defensive coordinator Rod Rust; whose read and react defense stifled his own team. Callaway increasingly comes across as the wrong man in the wrong place at the wrong time. He’s terrific before a season or a game, when nothing has yet gone wrong. In game and afterward, it’s a debacle. There must be an immense disconnect between how he presented himself while getting the job and everything we’ve seen since the middle of April, as if he just never fully accounted for what managing in real time would be like. I often listen and get the gist of what he’s saying as he attempts to explain away the latest loss (or losing streak) but am amazed at how he only makes it worse. It’s not the biggest part of his job, but it is an element. Eloquence isn’t everything, of course. We’d also take a tight-lipped winner. Editor’s Note: Greg wrote a more extensive piece on his thoughts about Callaway on FAFIF. It’s well worth a read. Initially, I did not believe Callaway was over-matched for the job in the sense he was unable to do the job well from a personal standpoint. However, I did believe him being over-matched in terms of the roster and talent at his disposal on a nightly basis. When your end game options is watching Jose Reyes pop or ground out in a pinch hitting attempt and picking who from Chris Beck, Jerry Blevins, Hansel Robles, Paul Sewald, etal you want to blow the lead, you’re going to look over-matched. That said, Callaway made a decision yesterday which has given me pause. After Reyes completely dogged it on a grounder Saturday night, Callaway double switched Reyes into the game. If Reyes was hurt, give him the extra day. If he wasn’t, he needs to be benched. In either event, Reyes can not play a day after completely dogging it. However, he did play, which now makes all questions about Callaway’s ability to control the game and the clubhouse fair game. Once again, I want to thank everyone for the well wishes and these excellent writers for contributing to the roundtable. Please make sure you take time to read their great sites, and there’s no excuse this week with a link being provided to FAFIF. For quite a while, Mets fans have bemoaned the ridiculous lineup with Eric Campbell and John Mayberry, Jr. hitting in the middle of the lineup. As bad as that lineup was, tonight’s ridiculous lineup might have taken the cake. Despite Luis Guillorme arguably being the best defensive shortstop in the entire Mets organization, he started the game at third with Jose Reyes, a player who has been a bad everything for a few years now playing the most important position on the infield. Dominic Smith started the game in left field because for some reason the Mets wanted to get another look at Kevin Plawecki at first base. This meant the far superior pitch framer in Plawecki was at first base while Devin Mesoraco caught. Taking it slightly a step further, because of the injuries to pitchers, Seth Lugo, a man who looks like Andrew Miller in the Mets bullpen, was pressed into another start. Really, looking at this lineup, you have to wonder if the person making that lineup wanted to get fired. Considering Mickey Callaway essentially let it be known he didn’t want to play Reyes, he may not be the person filling out the lineup card. Whatever the situation, it was a sick joke, and it was a joke that had no one laughing, especially not Lugo. The good news for Lugo was he would allow just one earned run in his five innings pitched. The bad news is when he left the game in the fifth, the Mets trailed 3-0. The reason for that is the defense behind him was terrible. What was a surprise was both of the errors leading to the unearned runs came from Guillorme. Guillorme couldn’t field a ball off the bat of Starling Marte. Marte was probably safe anyway, but it was ruled an error. The first batter of the game reached, would promptly steal a base, and he would eventually score on a Josh Harrison sacrifice fly. It was Harrison who reached on a two out throwing error by Guillorme in the third. He’d score on an Elias Diaz single. It should be noted that was a ball Rosario probably fields. Really, the only earned run against Lugo was a second inning Gregory Polanco second inning solo shot. After Lugo labored through five, partially due to his defense abandoning him, it was time for Tyler Bashlor to make his Major League debut. He was rudely welcomed to the big leagues by a Josh Bell excuse me opposite field line drive two run homer. Other than that, Bashlor looked pretty good in his two innings, and it made you question why the Mets have been subjecting their fans to the Chris Becks and the Jacob Rhames of the world. While none of this was a surprise, okay, the Guillorme defensive struggles was a bit of a surprise, the Mets fighting back in this game was a bit of a surprise. After Jameson Taillon dominated the Mets for six innings, the team would finally get to him in the seventh. A pair of doubles by Reyes and Plawecki scored the first run. After Tyler Glasnow entered the game, Guillorme walked, and Wilmer Flores hit a pinch hit three run homer to pull the Mets within 5-4. That prompted Clint Hurdle to bring in Steven Brault. He walked Michael Conforto putting the tying run on base with no outs. The rally would die there as Jose Bautista struck out, and Asdrubal Cabrera hit into an inning ending double play. In the eighth, the Mets put two on with one out. That rally fizzled as Plawecki struck out, and Guillorme grounded out. That was pretty much it for the Mets. In his second inning of work, Robert Gsellman couldn’t get through the ninth unscathed. This time a tough play for Guillorme was scored a hit. Gsellman would do well to limit the Pirates to one run when they had the bases loaded with one out, but really, who cares at this point? The Mets aren’t doing nearly enough to win games, and now, they are putting out embarrassing lineups. Game Notes: To make room for Bashlor on the roster, Chris Flexen was sent down to Triple-A. The Mets lost this game 7-3. Sadly, one of the reasons for the loss was Seth Lugofinally having a poor game. The guy we all want in the rotation allowed five earned on eight hits in five innings pitched. It really was an off night for a guy having a great season. Unfortunately, despite Lugo bailing out the Mets several times this year, the Mets could not bail him out. In the second, after a Dominic Smithdouble, the Mets had runners at second and third with no outs. Kevin Plaweckigrounded out, and then on a shallow center, the noodle armed Jarrod Dyson threw it offline, and he still got it there in plenty of time to nail Jose Bautistaat the plate. One of the reasons Bautista was sent was Lugo was due up. Of course, Lugo would single off his counter-part Zack Godley to start a rally. He’d score on a Todd Frazierdouble. After the double, the Mets had runners at second and third with one out. Brandon Nimmo and Asdrubal Cabrerastruck out to end that rally. Sure, Alex Avilabailed out Godley more than a few times by stopping a few balls in the dirt with a runner on third. But really, this was in an inept Mets offense. Things looked interesting with a Smith fourth inning homer off the foul pole to make it 3-2. From there, Lugo allowed two earned. Newest Mets Chris Beck allowed a run in 1.2 innings of work. Anthony Swarzakallowed a run in the eighth. In the ninth, a bewildered Mets team stood at the top railing almost willing something to happen. There was a rally in the ninth against Jorge De La Rosa with Wilmer Floreshitting an RBI double scoring an unearned run. At that point, the Diamondbacks went to their closer, Brad Boxberger, who got Michael Confortoto fly out to left to end the game. In case you haven’t noticed, the Mets are really bad right now. While any game where the Mets are trying to snap out of this horrendous June skid has its own level of interest, this game had some extra intrigue because the Mets were facing one of the two pitchers they traded in 2015 to obtain Addison Reed. Well, on this night, it seemed as if the Diamondbacks got a much better return for Reed than the Jamie Callahan, Gerson Bautista, Stephen Nogosek triumvirate the Mets received from the Red Sox at last year’s trade deadline. Things look good real early for the Mets as Brandon Nimmo hit a first inning homer off of Matt Koch. After that, Koch allowed just a fifth inning single to Dominic Smith that went nowhere before he allowed a Michael Conforto solo shot in the sixth inning. All told, Koch pitched six innings allowing the two homers while walking one and striking out five. To be fair, with the way the Mets offense is going, we can’t tell if Koch is the one who got away or if a pitcher with a 4.20 ERA entering the game looked good because any semi-competent pitcher can shut down the Mets right now. Now, the aforementioned Conforto homer pulled the Mets to within 3-2. They were behind because Jason Vargas wasn’t great . . . again. After getting a lead, he surrendered it almost immediately in the second on a rally started by his first issuing a leadoff walk to John Ryan Murphy and then hitting David Peralta. Now, Peralta made no effort to get out of the way of the ball, a point Mickey Callaway seemed to be chirping about from the dugout, but there’s not point being bitter, right? Anyway, Murphy came around and scored on an ensuing Ketel Marte single. Vargas got out of that jam, but he allowed solo shots to Paul Goldschmidt and Peralta in consecutive innings to put the Mets down 3-1. After his five innings, you could honestly say Vargas kept the Mets in the game. That’s a real accomplishment from where he was to start the season. By the seventh, the Mets were down a run, and they were still in this game. After 1.2 fine innings from Hansel Robles, Callaway brought in Jerry Blevins to face a stretch of left-handed Diamondback batters starting with Daniel Descalso. With two outs and an inherited runner from Robles, Blevins first allowed Descalso to single, and then he hit the left-handed hitting Jon Jay to load the bases.This led to Callaway bringing in Sewald, who is struggling every bit as much as Vargas and Blevins. He proceeded to walk Nick Ahmed to force home a run. Think about that. Robles was the Mets best reliever of the night, and he is the one charged with a run after Blevins’ and Sewald’s inept performances. Speaking of poor performances, after Amed Rosario hit a solo shot in the eighth inning to pull the Mets within 4-3, Jacob Rhame came in and allowed solo homers to Peralta and Jake Lamb. At that point, the Mets were down 6-3, and they were well past their quota for runs in a game. Ultimately, this game amounted to the pitchers Sandy Alderson brought in to help this team completely failing, but sure, let’s all blame Callaway for this team’s performance. Game Notes: Tim Peterson was sent down to make room for new Met Chris Beck on the roster. Beck did not make an appearance. Mets Blogger Roundtable: Is The Season Over? To get to 85 wins, the Mets now have to go 57-41. That’s a .582 clip just to make it interesting. I’m guessing that won’t be enough with Atlanta, Milwaukee, St. Louis, Los Angeles, Arizona and for fun, San Francisco and Philly in the realistic hunt for a wild card. I do agree and have said if there’s any hope, it’s in the starting rotation, but 85 wins right now is asking a lot for this bullpen and roster which lacks any sort of competitive edge in the heat, not to mention what they probably need which is another 60-62 wins, or a 62-36 record the rest of the way. Fangraphs currently has the Mets’ playoff odds at 4.6%. It was 9.8% just two days ago; 22% at the start of June. The Mets’ offense has been historically bad. This is not an exaggeration: No team since 1900 has scored fewer runs and recorded fewer hits in an 11 game span than the Mets. So, what I’m trying to say is no the season isn’t over. Almost! But sadly no, we are not yet free. The starting pitching has finally been really, really good lately, and all without Noah Syndergaard. The offense cannot possibly continue to break records in futility, thanks to our new best friends the law of averages. In conclusion: it is definitely probably not over. It’s hard to be as positive as I was prior to the season, but I still think it’s too early to call it “over.” I wish I had a better feel for the organizational plan here, but I don’t know if Callaway is setting his lineups and managing his bullpen or if he is following a front office script. Until I can determine that, I’m going to wait and see. The season is far from over, but if the Mets can’t figure out how to score in more than one inning per game, they will be selling off pieces once again and we’ll all be counting down the days to the start of the football season. The season is definitely not over. 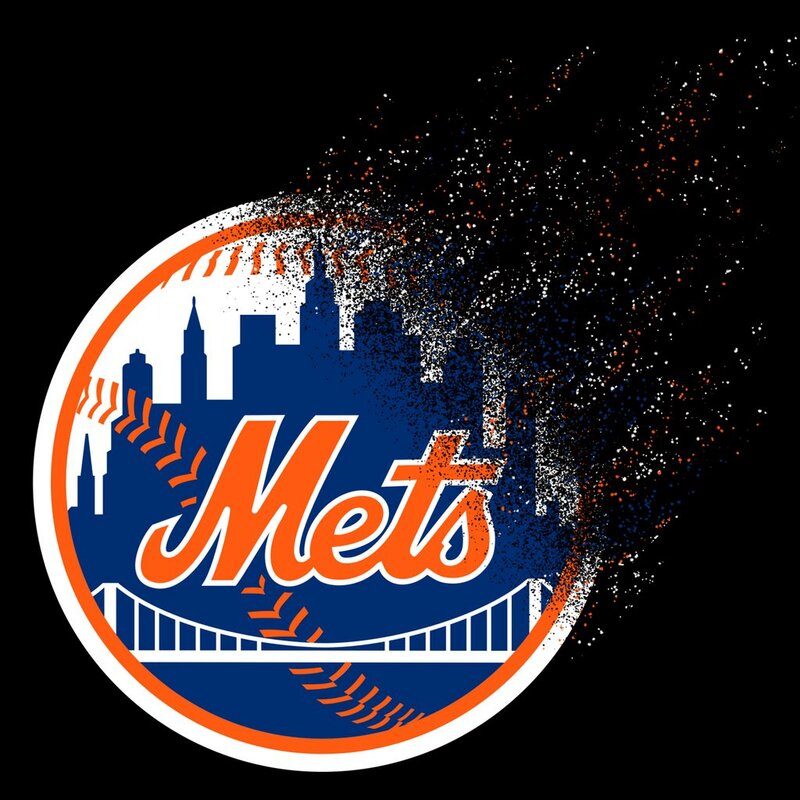 The Mets will find a way to pull us all back in again. Just as everything seems to be ok again, BAM! Back to DL and losing some more. I allowed myself a modicum of optimism after the Mets won the final game of their otherwise winless homestand. Get on the road, get a little momentum going…but the two games in Atlanta disabused me of the notion. Except for playing 98 more games as mandated, the season is 98% done (I of course will hang on the 2% chance it’s not). No, I don’t think it is. That could simply be the eternal optimist in me coming out, but it’s a very long season. There are 98 games left. The ’99 Mets were 28-28 when they fired their hitting and pitching coach and finished the season with 90+ wins. Our pitching staff is only getting better and the bats are sure to come around at some point. This can’t go on forever, right? Maybe Roessler needs to go. Who knows? But there’s more than enough time to make up for this awful stretch. There’s too much talent here to ’02 this thing. Not necessarily. The Mets could always get on some hot streak and get back to .500 given that their starting pitching has been pretty solid. That said, I really want them to realize how unlikely that would be and fully commit to playing the kids. For example, give Robert Gsellman and Seth Lugo starts in the rotation. Give Dominic Smith a good long look at first. See what you have in Wilmer Flores. Also call up Tyler Bashlor, Drew Smith, and Eric Handold to see the bullpen. If we get a large sample of these guys, then we can assess the off-season better and not get stuck with making poor insurance investments. This would require the Mets to move Asdrubal Cabrera soon and let Flores play but it should be a nice couple months to see the team get younger and see what might be in fold for 2019. The Mets can’t score, and even when their starting pitching has turned things around, the bullpen has blown either the narrow lead it was given, or they have let a one run game turn into a 10 run game. It would be worse, but really, a one run lead against this Mets team is like a 10 run lead. Right now, we’re all pinning our hopes on Syndergaard and Yoenis Cespedes returning from the DL, but no one knows when or if that is going to happen. Meanwhile, the Mets are continuing to keep Jose Reyes on the roster and go so far as to defend the decision. That means no young players like Jeff McNeil are going to get a change. Just when you think things couldn’t get more absurd, this team picked up Chris Beck and his career 5.94 ERA off waivers to try to help fix this bullpen. Meanwhile, Jay Bruce can add a back back to his plantar fascitiis issues. In that way, he’s much like Cabrera in that he’s adding more injuries than base hits. Neither one of these players are even being considered for the disabled list. Bartolo Colon is singing. It’s over. What isn’t over is the excellent work these Mets bloggers put out over the course of a season. Much like GKR, these people give you reason to at least follow the Mets with their excellent work. I hope you enjoy their work as much as I do.